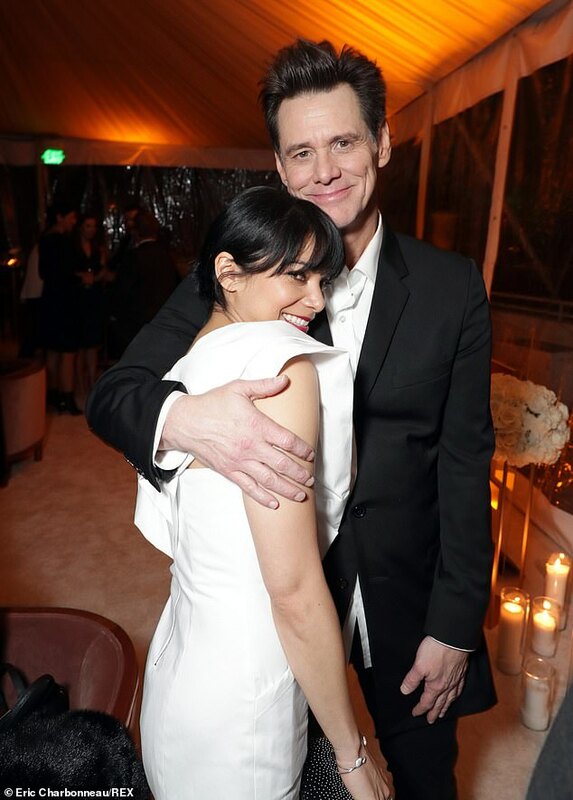 Jim Carrey is dating his Kidding co-star Ginger Gonzaga. The couple made their red carpet debut on Saturday at the Showtime Golden Globes Nominees Celebration in West Hollywood, California. The duo put on an affectionate display as they posed for cameras at the Sunset Tower Hotel. The Pennsylvania born beauty wore a plunging white dress while the Cable Guy star wore a simple black suit with crisp white shirt. The couple exchanged loving gazes as they stood arm in arm. Carrey is nominated for best performance in a television series, comedy or musical, for his role as Jeff in Kidding. This will be the actor’s first public relationship following the death of his ex-girlfriend Cathriona White, who died from an overdose in 2015. In November Carrey admitted to Radio Times that he was living an isolated life but hadn’t given up on dating. The actor said: ‘You could describe my home life as an isolated life. I spend a lot of time by myself but I like being by myself, so it’s OK. That might be strange to some people, but I enjoy it. ‘I love to read and I enjoy painting and working on sculptures [in my free time]. And I date’. Carrey has been married twice before, his first wife was actress Melissa Wormer and the pair divorced in 1995 after eight years together. The actor then married his Dumb and Dumber co-star, Lauren Holly in 1996 but they went their separate ways after less than a year together.